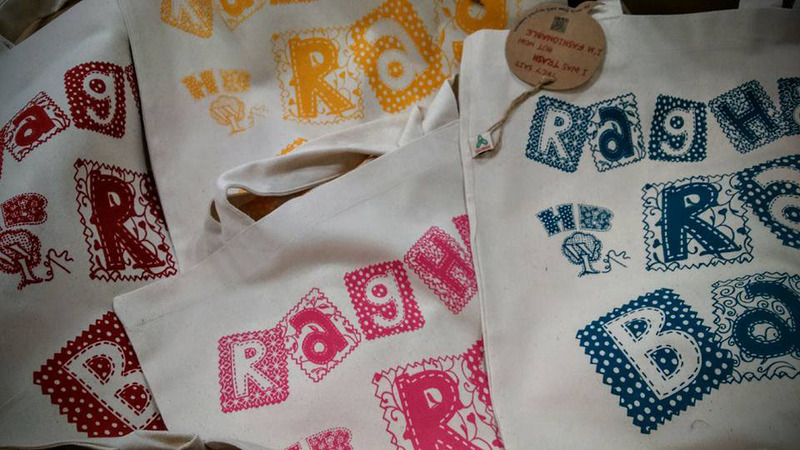 Hooray, it’s our Rag Market tomorrow! 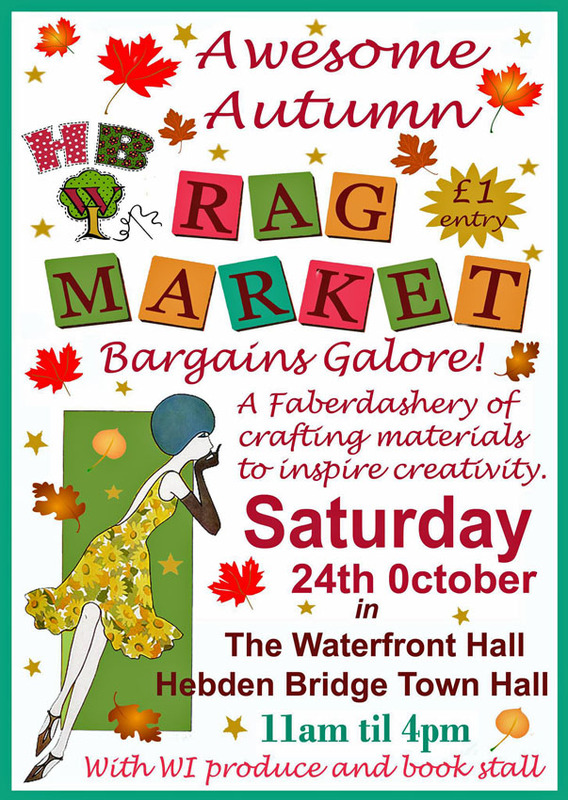 11am to 4pm in Hebden Bridge Town Hall, entry is £1 and all the proceeds go to two charities – Hebden Bridge WI (we’re an educational charity) and WomensCentre in Halifax, who are our Charity Of The Year. We’ve been busy collecting books and making produce for our WI stall – and yes, of course there will be jam! 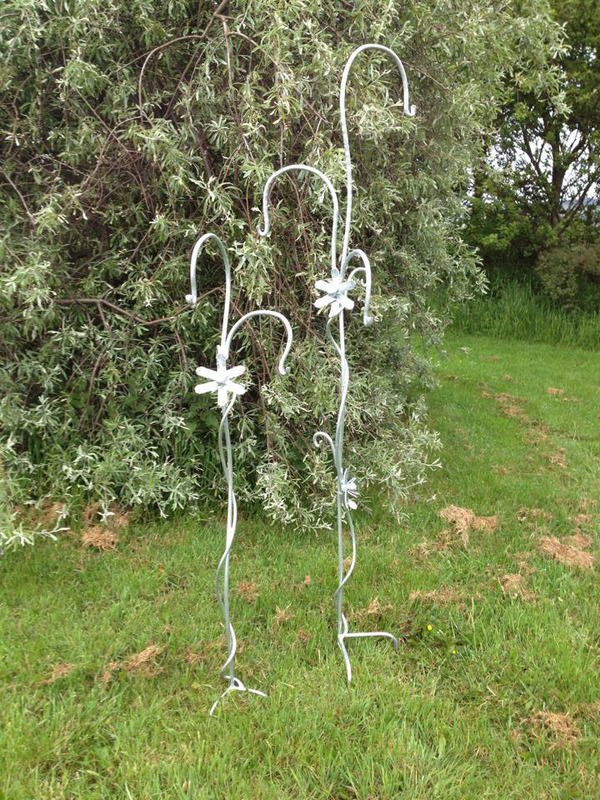 Our talented blacksmith, Maxine Hunt has kindly donated one of her beautiful garden sculptures for the raffle prize. These are designed to hold bird feeders but they could also hold lanterns or stay unadorned as a lovely piece of art. We have one of the smaller ones as a prize for the lucky raffle winner. Thank you Max, that was incredibly generous of you. 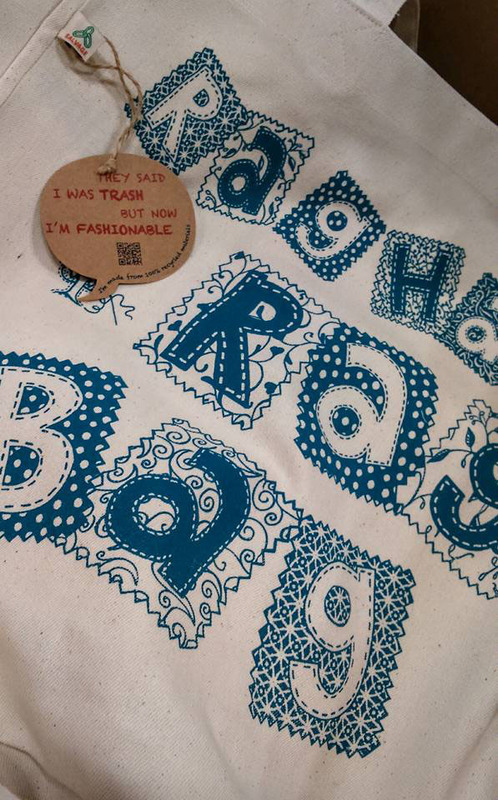 You can also ditch the plastic and treat yourself to a eco-friendly tote bag that will last and last. These sturdy and colourful bags were printed for us by local co-operative The Egg Factory and they’re made from recycled cotton and plastic bottles (how does that even work?) They’re available on the WI produce stall in a range of five beautiful colours for only £7.50. Oh, and there’s even a jumble sale in aid of Calderdale Calais Refugee Aid Group upstairs on the same day, so there are tons of bargains to be had. So bring lots of cash and come along and have a lovely day. And if you’re a WI member, please do say hi and tell us where you’ve come from – we get fellow WI-ers visiting from all over the country and it’s always fun to hear where you’ve come from.